Christmas is just around the corner (I know right! Where did that year go??!) and the annual shopping frenzy has well and truly begun. Choosing the right gift can be so stressful and I don’t know about you but I think it’s sometimes difficult to find something a little bit different. I went along to a local craft and food fair in Galway last week and discovered some amazing Irish companies producing and selling products which would make fantastic Christmas gifts. And the bonus is you would be supporting local businesses which I think we should all focus on a little more when shopping, particularly at Christmas. A lot of these companies were unknown to me prior to seeing them at the craft fair so I thought I would share the love with you guys too. So if you’re stuck for gift ideas and want to support local Irish businesses I’ve pulled together a quick gift guide with a few of my favourites to help you with your shopping! FYI pretty much all of them ship nationally as well as internationally too in some cases! Kinvara skincare is a brand many of you are familiar with at this stage. But for those of you who are not, it is an all natural, plant based range of skincare products produced in the west of Ireland. With a fun new brand identity, it is luxurious affordable skincare without some of the nasties that other products have and it really works! Their 24hr Rosehip Serum and Absolute Cleansing Oil are two of their most popular products and they’ve also just recently introduced a gorgeous new hand cream. Trust me, the skincare lover in your life will be delighted to find some Kinvara products under their tree on Christmas morning! Who doesn’t love a good candle?? I am literally obsessed and constantly have scented candles burning throughout my house. There is nothing better than a scented candle to infuse your living spaces with a sense of calm and well being. Ethically sourced and produced in county Galway, Scents of Galway create natural soy candles infused with a variety of essential oils. The Sweet Connemara Heather candle is my personal favourite! They also make natural, vegan friendly soaps, all inspired by and named after Galway locations. Socks have a reputation as being an unimaginative Christmas gift that you get from your nan but that it is most definitely not the case with socks from Irish Sock Society! Inspired by Irish humour and popular phrases, they come in an array of styles and are a fun gift for him or her. Select your favourite styles or get them a sock subscription but either way their feet will never be boring again! Your Are A Ride and Did You Turn Off The Immersion? are my personal favourite styles! A girl can never have too many handbags right?! That’s my motto anyway and I’m sticking to it! Lovern Leather Goods create beautiful bags handmade from the finest Italian leather. In a range of colours, the bags are a striking barrel shape guaranteed to turn heads. Inspired by a bag first owned by the designers mother many years ago, I just love the story of how the idea for these beautiful bags was born. Perfect for a special occasion or simply jazzing up an every day outfit, the bags can be worn on the shoulder or as a cross body and would be a timeless addition to any accessory collection. I am in love with the tan scallop edge! When it comes to accessories, I tend to take inspo from my girl Iris Apfel and throw everything at it. I love statement jewellery and am always on the look out for a striking piece to take my outfit to the next level. 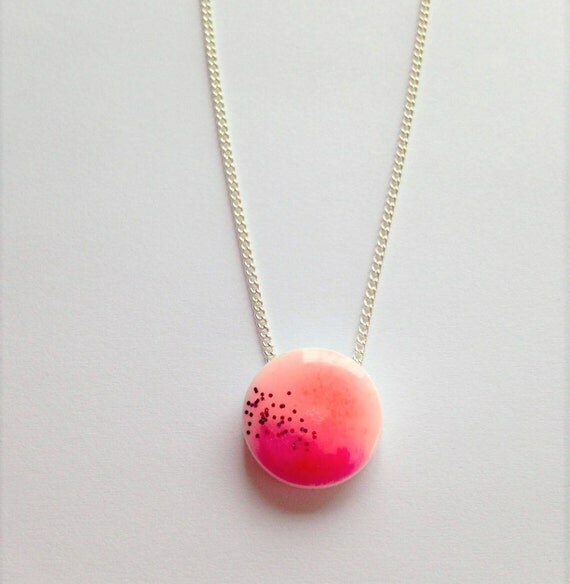 So it will come as no surprise that the gorgeous designs by Ciara O’Neill Art immediately caught my eye. 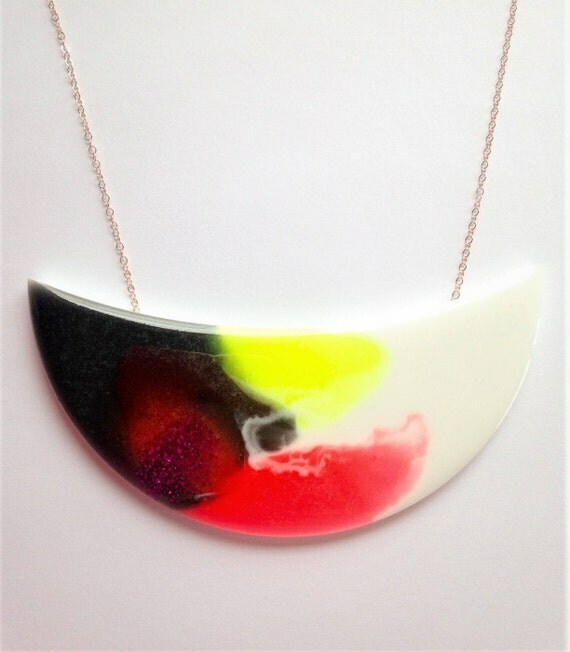 Ciara makes gorgeous pendants from brightly coloured, abstract designed resin. Accessory lovers will adore their quirky, colourful designs! 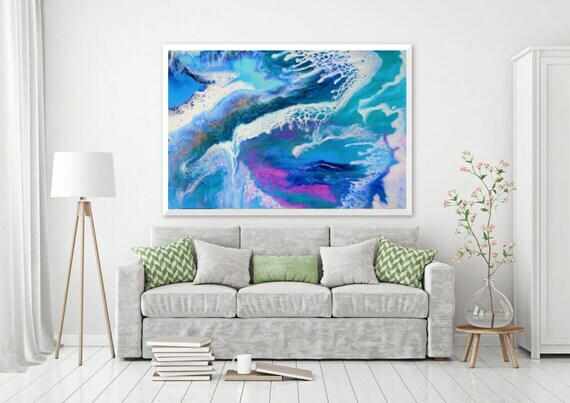 She also creates abstract wall art from resin which are fabulous pieces for anyone looking for something a little different for their home. There are lots more amazing Irish businesses producing fabulous products so I will continue to add to this post over the next few days! Next Next post: New year, same me!